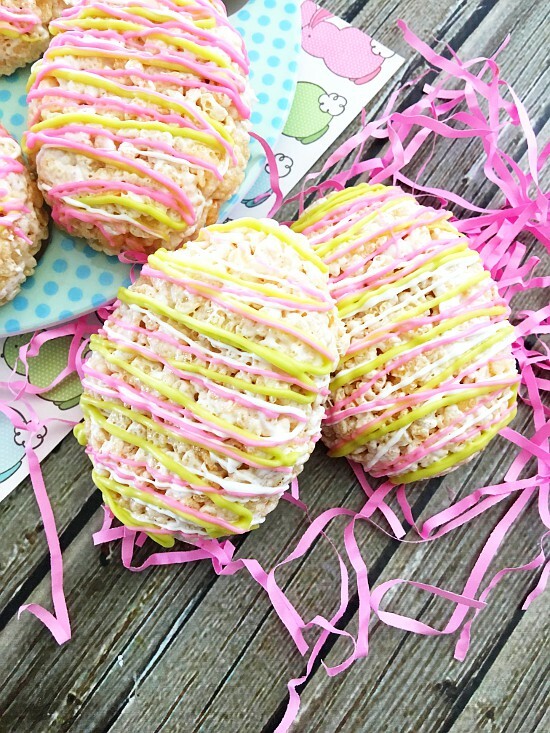 Cute, bright Easter Egg Rice Krispie Treats are a fun and easy Easter treat that can be made in just 20 minutes. 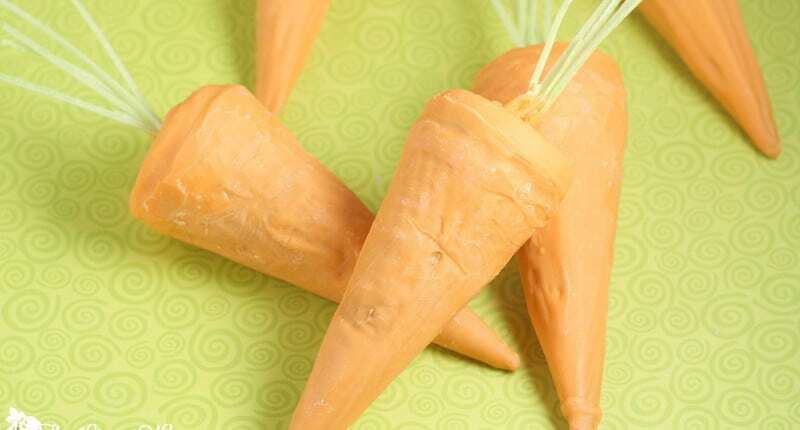 Time for a super simple Easter recipe that the kids will absolutely love. 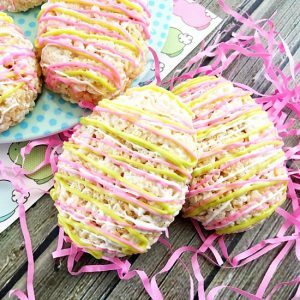 And you’ll love these Easter Egg Rice Krispie Treats too, because they’re so easy to make and turn out super cute. Wilton candy melts in pink, white, and light green (or any other color of your choosing! Microwave your chocolate melts in 3 separate bowls in 30 second intervals, stirring after each interval until completely melted. Let your chocolate harden for about 10 minutes, serve, and enjoy! 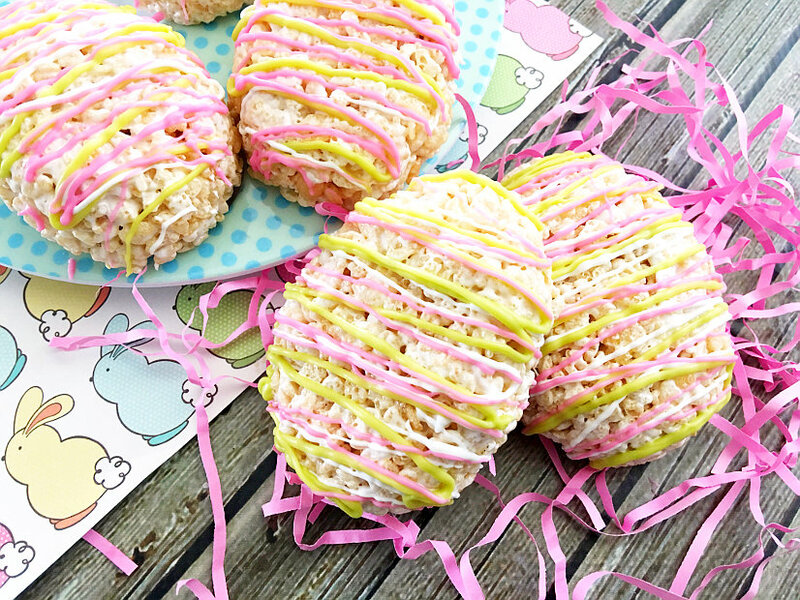 Did you like this Easter Egg Rice Krispie Treat Recipe? Find more on my Desserts and Easter boards on Pinterest! 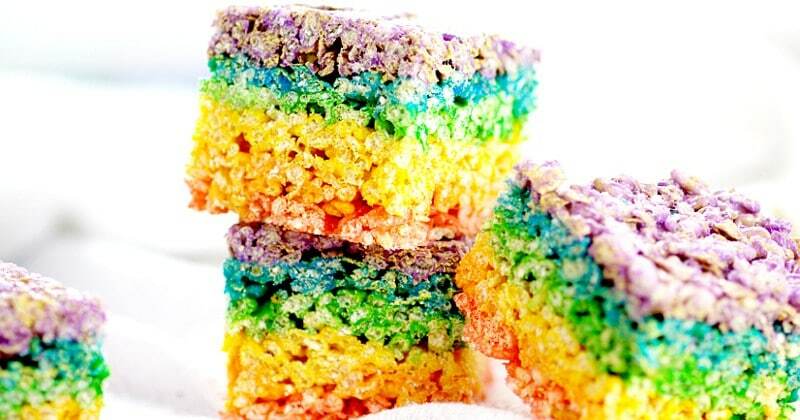 Who doesn’t love Rice Krispie Treats? My family is a huge fan and they will LOVE these! Pinning! Who doesn’t love a fun Rice Krispy treat!! Thanks for sharing with the Thursday Blog Hop! Hello Beautiful!! I love your project! How bright and colorful everything is…your website feels like Springtime! You have been Pinned,Tweeted and shared on Facebook! Your post will be featured this week at the Friday Favorites Link Party at Mustlovehome.com. Come by the party tonight, doors open at 7PM, and see your feature and share another of your favorite posts! Hugs – Christine at Must Love Home PS – I signed up for your newsletter…thank you! 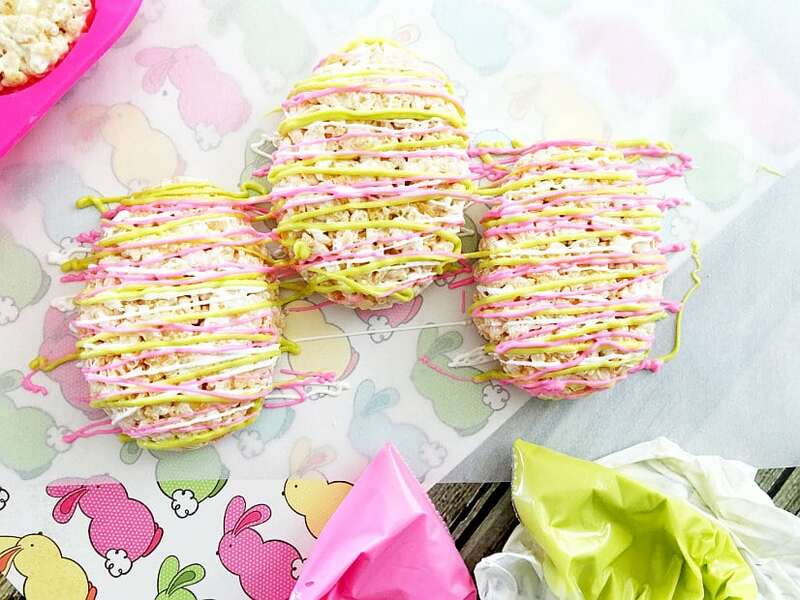 This are such a nice treat to make for Easter 🙂 Thank you so much for sharing!